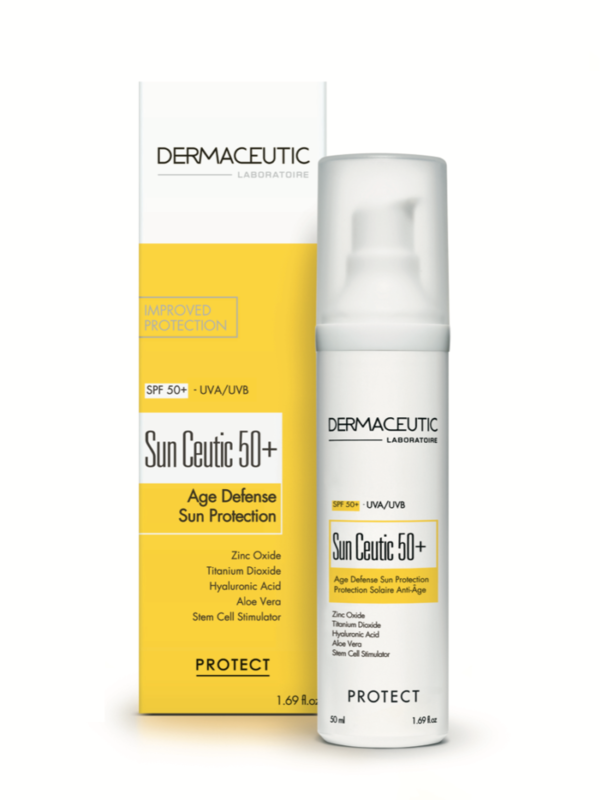 Adopt a new-generation SPF with the new Sun Ceutic 50+ formulation! Sun cream is the number one anti-aging care. Why? The sun is the primary factor for skin aging. This is why Dermaceutic Laboratory is honing the formula of its sun protection care by reinforcing its SPF50+. To care for the most sun-sensitive skin types, including dry, sensitive and thin skin, Sun Ceutic 50+ guarantees very high anti-aging and anti-spots sun protection. Its new expert formula combines optimised wide-spectrum sun protection, an innovative and effective anti-aging complex, hydrating, soothing and repairing actives, and a new texture that gives a transparent finish and sinks in quickly for optimum comfort! 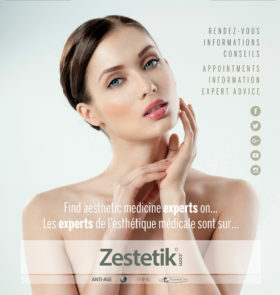 The skin is protected from all visible signs of photo-aging: pigmentation, fine lines and dehydration.